**Chickens sourced for ALDI’s Never Any! 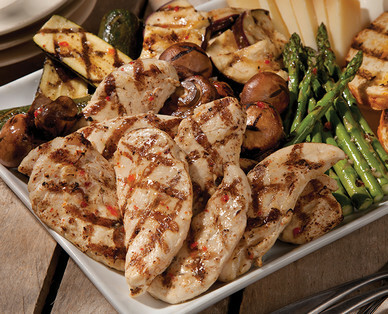 Chicken Breasts are raised in modern, state-of-the-art ventilated, lighted (some with curtains that raise for natural light), open barns without cages. The barns provide enrichments and other elements to ensure a comfortable and interactive environment with protection from inclement weather, varying temperatures, disease and predators.